Denise Lalonde Holistic Nutritionist London | Koru Nutrition Inc.
Denise graduated with honours from The Canadian School of Natural Nutrition (CSNN), with the designation of Registered Holistic Nutritionist (R.H.N.) in 2011. Denise also holds a Bachelor of Arts from the University of Western Ontario. Denise teaches Sport Nutrition, Anatomy & Physiology, and Culinary Certificate Courses, as well as marking Case Studies at CSNN. 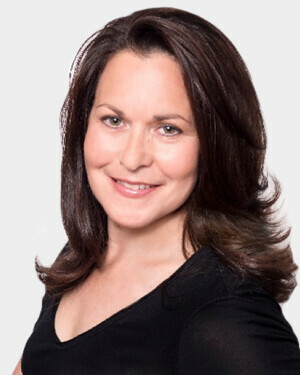 In her private practice she enjoys working with a very diverse range of clients of all ages. Denise’s areas of specialty are weight loss, women’s health, sports performance for youth athletes, pain and mental health. Denise was involved in the launch of a new employee fitness programs at 3 London hospital sites (University hospital, Victoria hospital and South Street campus) for over 12,000 employees. Denise is also a published Author which eared international Best seller status on Amazon. She is also a published Medical Research Associate (Pediatric Cardiology) which involved studying obese youth who had corrective heart surgery at birth and evaluated outcomes of interventions in fitness and nutrition.